The Xerox XC1044 comes with a three-year warranty, and a Xerox guarantee. The Xerox guarantee ensures if you encounter issues with your copier within the three-year mark from the date of purchase, Xerox will replace your affected equipment at your request. 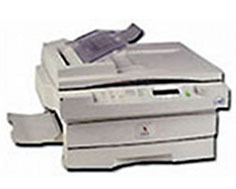 Xerox guarantees a replacement of parts and/or similar models with comparable features. The copier is ideal for corporations involved in document management. Typically, the ideal candidates are places of business that have a requirement for retaining copies of documents for legal matters and/or distribution amongst peers. The paper tray capacity of the Xerox XC1044 copier is 250 sheets. The control panel allows flexibility for document management. The exposure mode will enable end-users to adjust various controls for auto contrast, text, photo, and toner save. The copier lets one customize the background of copies, and provide alternatives for decreasing the density of ink used on copies. The copy contrast adjusts the lightness and darkness of documents, when the Auto contrast is on, the darker/ lighter feature is not available. The five contrast settings is comprehensive when the contrast settings become indicated with three different lights. The lights light-up at in successive orders to represent the settings. The Xerox XC1044 copier costs around $250, prints up to 100 copies and the paper tray will stand up to 250 sheets of paper. To further clarify the quantity keys simplification, as the quantity keys balance with increments of ones and tens. The right key will increase quantity by ones, and the tens key will increase quantity by 10s. If a user decides to quit the copy process, one can easily terminate the process by pressing the clear/stop button. Pressing the key consecutively will clear the programming. The Xerox XC1044 is energy star qualified, and the copier comes with different perks. The Power Reduction Mode contains two modes of power diminution; the Power Shut-Off, and Power Save. In Power Save mode, the fuser preserves at lower heat levels. The Power Shut-Off mode saves more power than the latter by increasing the amount of time it takes to copy a document. The three-year limited warranty is a godsend. To take advantage of the limited warranty plan, retain proof of purchase, and within 10 days, send in the registration of your Xerox XC1044. If a problem occurs with the use of the copier, the customer support representatives for Xerox will ask for basic information such as serial number, date of purchase, model number, and an accurate description of the problem. As a part of their security protocol to ensure the requester sends in the defective unit, to complete an exchange, a credit card number will be needed. Other than that, the warranty program, repair and exchange service is pretty clear-cut. The Xerox XC1044 copier takes paper sizes from 5.5 x 8.5-8.5 x14 millimeters, and A5-216 x 356 millimeters. For the bypass tray, papers up to 3.5 x 5.5-8.5 x 14 millimeters, and A4-216 x 356 millimeters. The papers can be loaded up to 14-34 pounds. The copier can make 10 pages per minute at paper sizes of 8.5 x 11 millimeters. You can expect your first paper to take approximately eight seconds to output. The copier benefits from the 50/60 Hz, which is impressive for a copier-only machine. The copier is not too heavy at around 50 pounds. 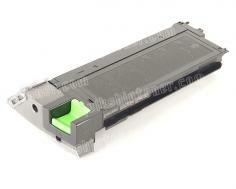 The toner save feature is not ideal for official documents, because the clarity may be compromised. The copier is inadequate in the amount of paper it can take in the tray. The paper tray bypass is limited to one sheet of paper. Do not expect your bottom-line to be protected with the 120 volt copier; 120 volts equal to 3,600 watts, which is more than your average multi-function printer. The copier lacks any functionality for printing, faxing, and scanning. 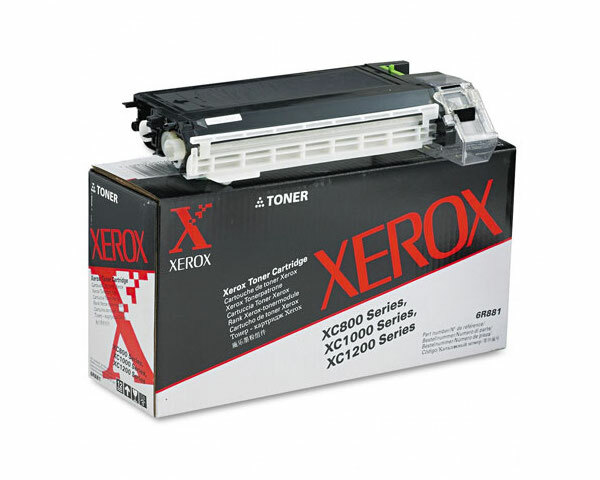 Review it: "Xerox XC1044 "
The Xerox XC1044, discontinued by the Xerox organization, is limited in support for available toner cartridges. 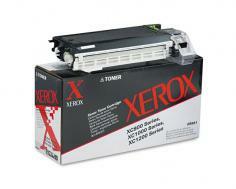 The original Xerox 6R881 toner cartridge will yield approximately 3,300 pages. The Xerox 13R544 original drum unit will yield 12,000 pages.